The UX, hard work, and the fast feedback that can help design a better intranet. This article from Anne Gibson genuinely surprised me, and I want every comms and intranet person to read it. Personal dashboards, that show real-time data and one’s tasks, are probably the next necessary step for intranets, but these three layouts conceived by web designers are missing the rest of the intranet. Menus menus menus. Curated lists of ‘how to do’ stuff are great, but sometimes the simplest list is the ‘killer app’ of your intranet. Try the ‘I need to…’ list, and help your people get things done fast. 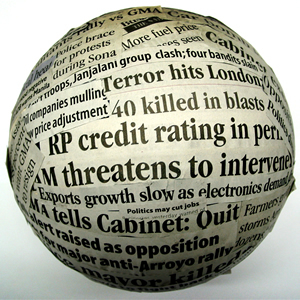 The disappearance of front page news – how do your readers find your intranet news stories? News stories on my intranet ‘fall off‘ the front page after two days and ‘disappear’; at least as far as my readers are concerned. Here one day, gone the next. With all my reading, all my research, all my networking, I have failed to discover or develop a better system than the ‘news archive‘. The News Archive holds stories from last week and way back to years before. I think it’s easy to get to because the breadcrumb trail is easy to use and lets people ‘go back in time’. I also provide a direct link to the News Archive section from the footer of every news story. Yet, I’m wrong; the News Archive is not easy to find. People tell me that in all the years the intranet has been running, they’ve never seen the Archive. I have had this role for one year. What have I done to our intranet? Not enough. What will you and I do in the next month or so? Plenty more. Intranets use drop-down navigation menus, right? Well Jakob says Mega Menus are the new cat in town. Small businesses can get a wealth of advice, and can make their small budgets go far online. But what should people who run a Tiny Business(TM) do online? Are you chasing PageRank and SEO? Optimising your web pages or blogs for the Search Engines shouldn’t cost you the big bucks, and you don’t need help from the self-proclaimed experts. Here are five simple ways you can improve your findability and get more visitors today.